Digital x-rays help in the diagnosis and treatment of periodontal disease and decay in areas of the teeth that are difficult or impossible to see clinically. They illustrate bone height, bone defects, infection, root involvement, tartar, and decay. 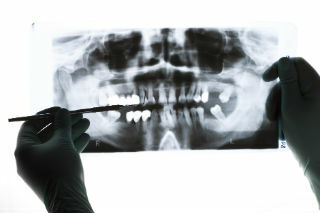 Digital x-rays are also beneficial in determining if the disease is progressing or if arrested. Dr. Turnage's digital radiographic system allows for quick on-screen reference to facilitate your understanding of any areas of concern. 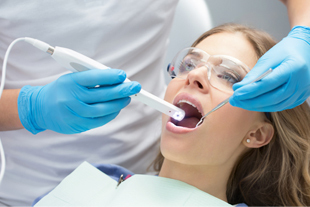 The system is more sensitive than dental x-ray film systems, so your exposure to x-rays is cut by as much as 90%. The large, color-enhanced images let you see what Dr. Turnage sees, so it's easier for you to understand your condition and possible treatment, if required. Oral Cancer is preventable, and, if detected early, can be cured. Upwards of 80% of patients diagnosed early survive! Symptoms of oral cancer can include a sore on your gums, lips, tongue or cheek, white scaly patches, swelling, numbness, bleeding or pain. Minimize your risk of oral cancer by avoiding exposure to sunlight, tobacco, and excessive alcohol intake. It takes 5 minutes to receive a comprehensive oral cancer exam that could save your life! Speak with Dr. Turnage today if you have any concerns! To ensure quality service and provide you with quality dental care, we make sure we have state-of-the-art facilities to meet your dental needs. The more you know about your mouth, the more able you are to make good choices for your dental care. Intra-oral photography utilizes technology to assist patients who want to be an active participant in their own dental care. Ask us for a tour of your mouth today! Dr. Turnage provides Complete Full and Partial Denture service. Types of Partial Dentures are all-acrylic, flexible, conventional, and Equipoise designs. 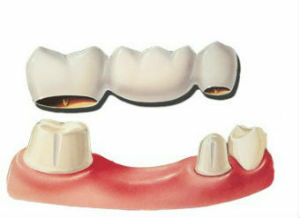 The Equipoise design is the best Partial Denture on the Planet! Sometimes, depending on your case, implants can be used to anchor and/or support Complete or Partial Dentures . We make every effort to make your dentures look like “they grew there!” in that they show a minimum amount or no metal. In most cases it may not be necessary or even recommended to replace all of the teeth that someone may be missing. Patient recommendations (for example, fixed or removable) will be presented considering a patient’s wants or needs. Ask us for more details, and get ready to SMILE! Periodontal disease is an ongoing inflammation caused by bacteria that lives in plaque. The bacteria in plaque produce toxins that irritate the gums, making them red, tender and likely to bleed. This condition is called gingivitis and it can lead to more serious types of periodontal disease (periodontitis). If not treated, this can result in damage to the attachment of the tooth to the gums and bone. The teeth then become loose or fall out, or require removal by a dentist. Gingivitis can be prevented or reversed by brushing and flossing daily and having your teeth professionally cleaned in our dental office. Contact Dr. Turnage today for more information. 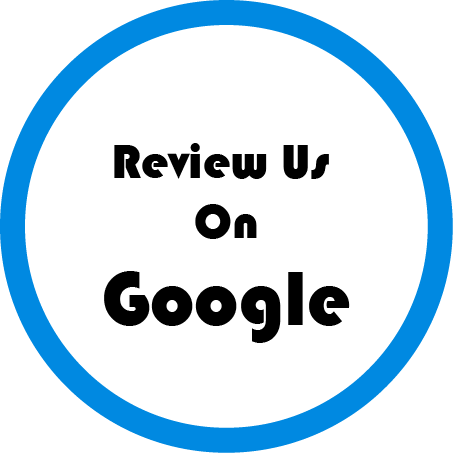 The team at Dr. Turnage’s office are sensitive to the fact that a lot of people don’t really “like” going to the Dentist. Not only that, there are those who don’t get the dental care that they need due to their fear, anxiety or stress. Dr. Turnage is happy to offer patients a way to increase their comfort level with the use of: Nitrous Oxide;“gas’ to “take the edge off” while being treated, or Oral conscious sedation; a step farther than Nitrous Oxide. Utilizing this method, Dr. Turnage can accomplish in one or two visits in what would otherwise require multiple treatments, usually with the patient having little or no memory of the procedure. Ask us about it! Snoring and obstructive sleep apnea (OSA) not only affects health and quality of life, but also severely affects a spouse or significant other’s life. Obstructive sleep apnea not only causes fatigue and severe daytime drowsiness, but many other problems such as poor memory, headaches and many other health problems. Oral appliance therapy is an alternative to CPAP. An oral appliance is a small plastic device that fits over the teeth, just like an orthodontic retainer or mouth guard. The appliance is worn in the mouth during sleep to prevent the soft tissue of the throat from collapsing and obstructing the airway. Oral appliance therapy is a quick and easy procedure that can dramatically change your quality of life and that of your spouse. 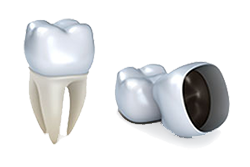 Tooth-colored fillings, not silver fillings, are now the standard of care for repairing decayed teeth. They require less removal of good tooth structure than silver fillings, actually bond to the tooth and because of this fact can help prevent recurrent decay at the margins of the tooth and the filling. They also look 100% better than silver fillings. Why is it important to replace a missing tooth? It not only improves the look of your smile, but also contributes to better dental health. Each tooth has its own important role. The support that your teeth provide for each other is compromised when one is missing. Before long, evidence of breakdown is noticed in the remaining teeth, the jaw joint, and/or the gums. The use of a bridge can prevent these problems. Bridges are fixed, not removable, and are anchored to the teeth adjacent to the space or spaces to be restored. Your teeth are composed of two main parts. The crown is the part visible above the gum. 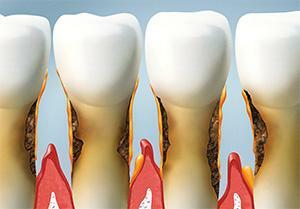 The root is the part below the gum that holds your tooth firmly in your jawbone. If the crown of your tooth becomes weakened by decay or fractures, or if it is stained or uneven, it can be restored and strengthened by an artificial crown. If you have any questions about crowns and how they are a benefit to you, speak with Dr. Turnage today!